This silver plated wedding cake knife and slice gift set makes a fantastic personalised wedding gift. The knife blade or slice can be engraved with the bride and grooms names, and the date of the wedding. The cake knife and slice have highly polished blades, the handles have a brushed finish and are set in a lined presentation box. 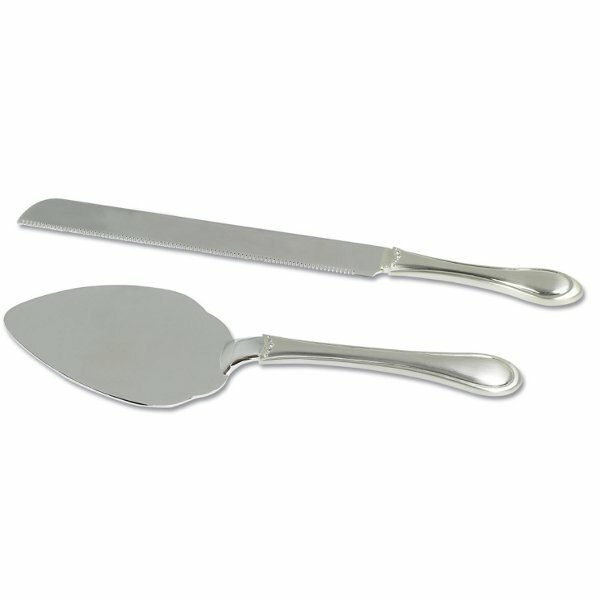 Up to 50 letters engraving included in the price of the personalised silver plated wedding cake knife set. The postage rate of the engraved cake knife set is band B.